In the summer we get blueberries, strawberries and raspberries to enjoy for just a short time, and if your like me you made jam and shared with those you love. 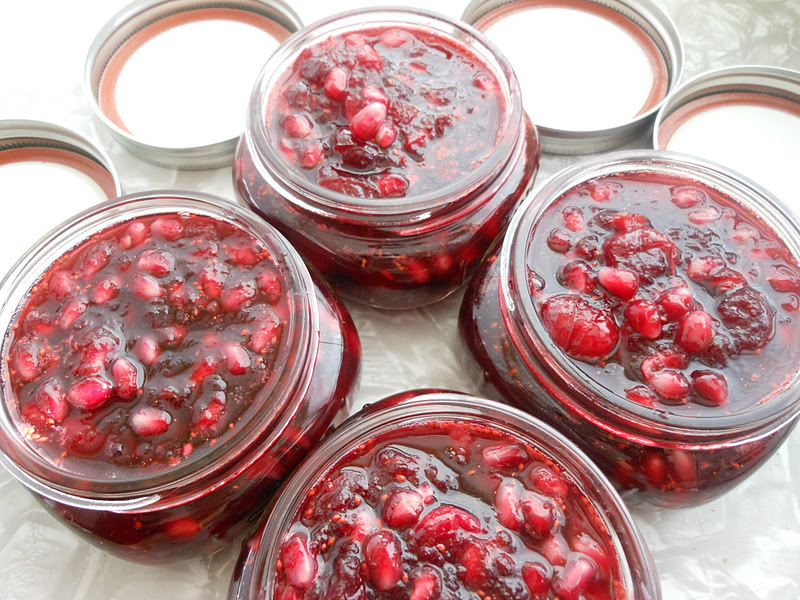 Well in winter we get cranberries and pomegranates for just a short time so I just had to whip up some jam to savor these beauties. I am planning on sharing some as gifts and the rest will help me out with all those parties we have to attend where we are required to bring something to share, I can’t wait! I hope this recipe helps you out like it will be. Happy Holidays! ENJOY! 1. 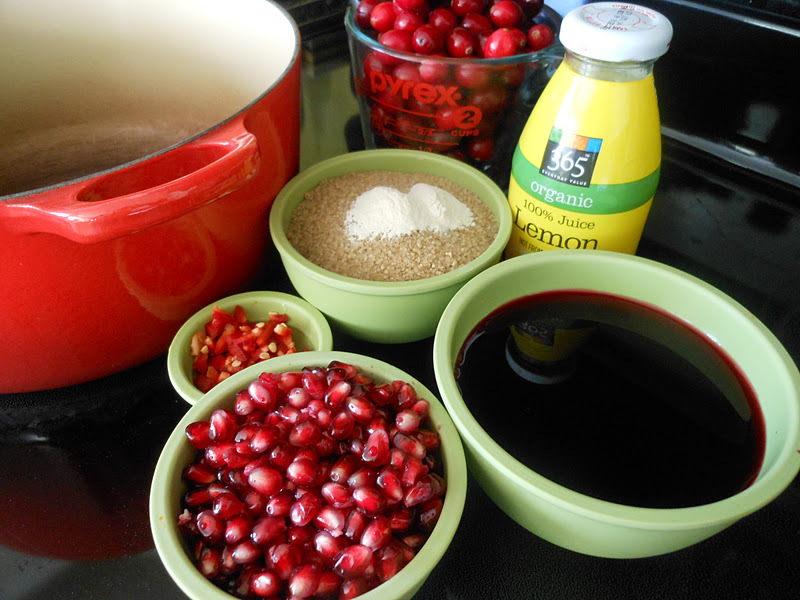 In a large pot on the stove add the pomegranate juice, lemon juice and calcium water. Turn on the heat to medium, bring to a boil. 2. When the juice mixture begins to boil add the cranberries and Fresno chili, let this mixture boil until most of the cranberries have popped. Stir the mixture just a bit during this time. 3. 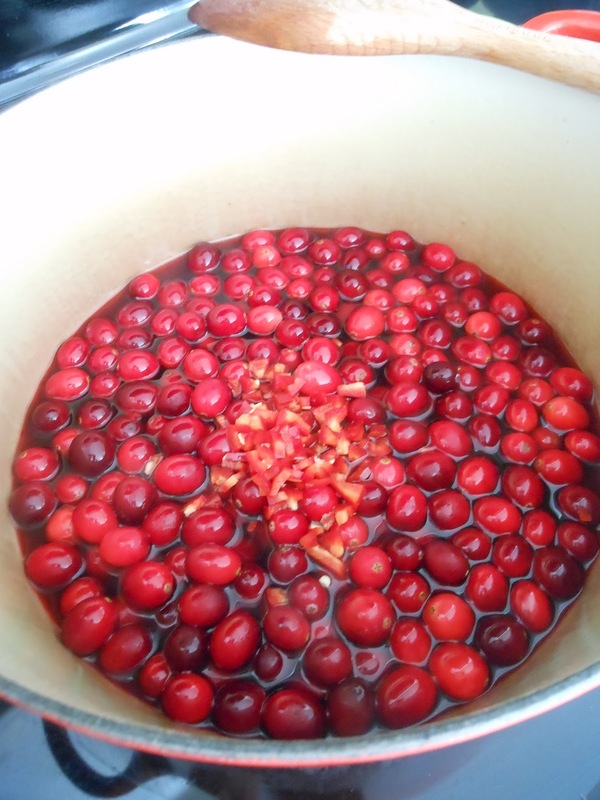 When most of the cranberries have popped add the sugar and pectin powder, stir until those two ingredients have dissolved. 4. Pull the pot of the heat and add pomegranate seeds and stir to combine. Let the mixture cool just a bit and then portion it into your jars. 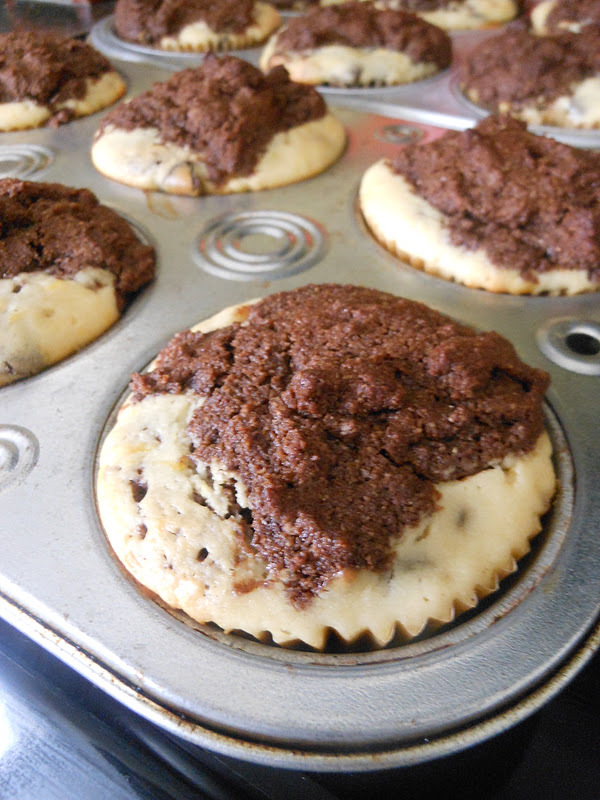 Let cool completely before you top with the lids. Will keep for a month in the refrigerator. These cupcakes are so good! They came to be because I had leftover ricotta from making homemade ravioli and I didn’t want the ricotta to go to waste. So I did what I usually do, I started looking through some of my cookbooks looking for a special recipe to use my ricotta in, nothing came up. Next thought was to search some of the blogs I like to follow and just then I remembered that I was introduced to a new blog from a book we read in Slow Food Utah book club called ‘A Homemade Life’ by Molly Wiezenberg (I recently read this book in TWO days on a little getaway to Sundance with my sweetie). She has a blog called Orangette, so I did a search through her recipes and found this little gem of a recipe. I have made them twice in the last month- their that good. I posted the link above, I hope you’ll try them. They are simple to make but big on gourmet flavor. Enjoy!